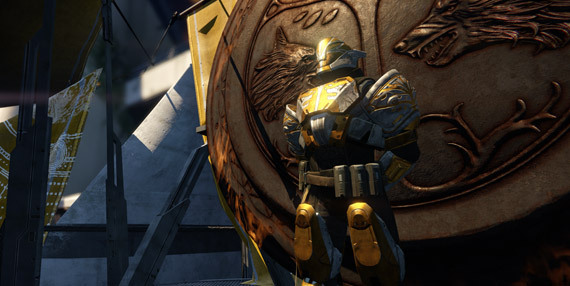 The Iron Banner is a Faction led by Lord Saladin (vendor), a veteran of the Battle for Twilight Gap. A hero to the City and a legend in his own right, Saladin led the City’s defense during the Battle for the Twilight Gap. His protégés, Commander Zavala and Lord Shaxx, now lead the Tower’s Vanguard and the Crucible, respectively. Saladin remains close to Zavala (Titan Vanguard), though his relationship with Shaxx has been strained since the Twilight Gap. 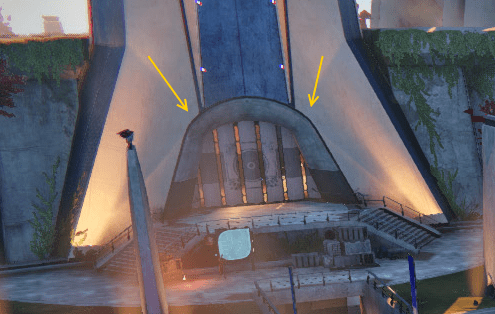 [divider]What is the Iron Banner? 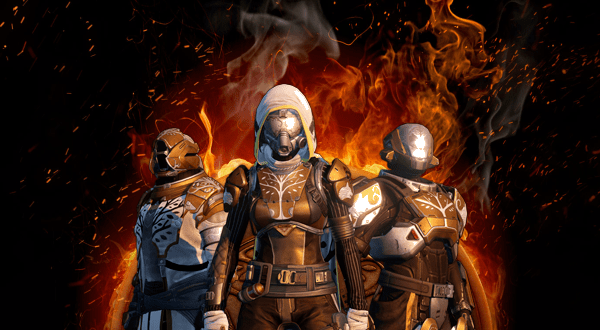 The Iron Banner seeks great champions to lead the fight against the Darkness. It was born to honor the Iron Lords and their efforts in the earliest days of the City. In normal Crucible matches, your character level and equipment’s Attack/Defense stats do not matter, as all weapons deal the same base damage relative to their archetype. However, in matches where Level Advantages are enabled (IB & Trials of Osiris), those stats do matter, and will function similarly – though not as extreme – to how they do in PvE. 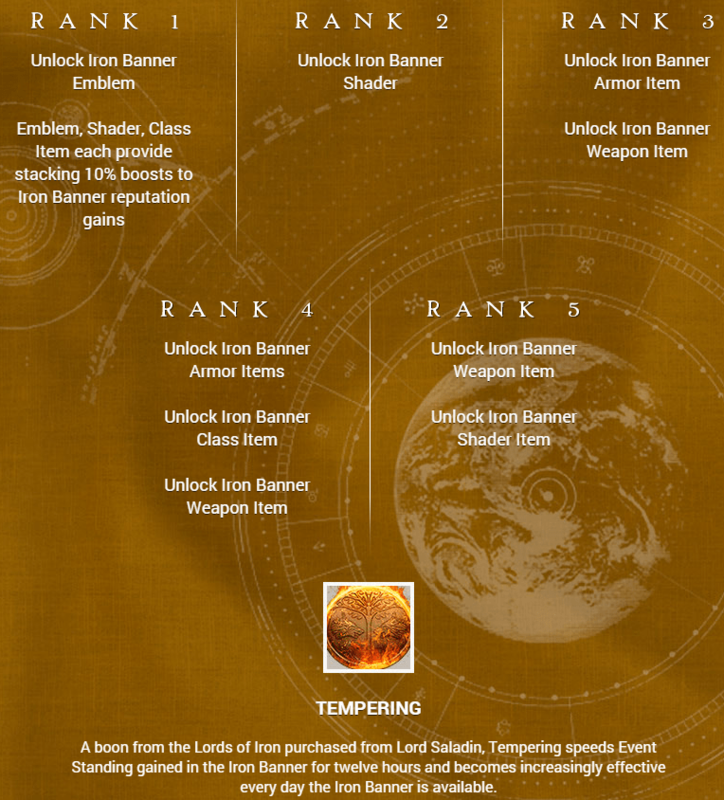 Use this guide for more tips on how to prepare yourself for the new Iron Banner. If you’re competing in a special PvP event like Iron Bannerr, take the time to gear up for it, as level advantages are enabled. 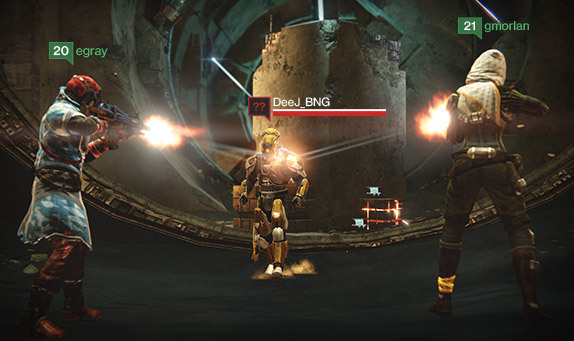 Your Defense rating and Attack level will not be equalized with everyone else like in normal Crucible modes. Only players Level 20 and above can lead a Fireteam. Players within 3 Levels can be “competitive” with each other. New exclusive reward armor will be bumped to Level 31, but will only be available in two slots. You must meet with Lord Saladin before you can compete. Seek him out in the Tower, opposite the landing zone. Victory earns you reputation and rank to unlock special Iron Banner weapons. Lord Saladin will offer players the option of Reforging any Iron Banner weapon. This will re-roll all of the upgrades for a chosen weapon, but it’ll also reset any upgrades you’ve unlocked. 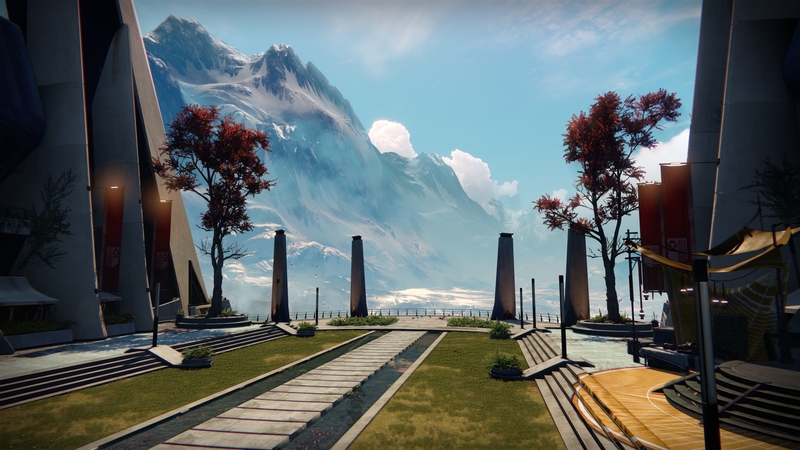 The cost for each Reforge will be a small number of Motes of Light. Talk to Lord Saladin to initiate the Reforging process. Click here to see all of the new Iron Banner gear! Lord Saladin will offer a 12-hour buff called Tempered, which will boost Iron Banner reputation gains. You can use this buff multiple times throughout the week! As the week goes forward, this buff will boost gains even more, so people who start later in the week will be able to catch up easier. It’s up to you to decide when to activate this buff! Reputation gains are only awarded to the winners, but when you lose, you’ll be rewarded with an Iron Medallion token. You can carry up to 5 of these tokens, and they can be redeemed after your next win. Once redeemed, each Medallion you carry will convert into Iron Banner reputation! There are now 5 IB ranks instead of 3. Your rank will unlock more gear to purchase from Lord Saladin, which can be Reforged (explained above). Your ranking will be reset each time a new event starts. Normal Crucible matches rarely award you high-quality gear, but in the Iron Banner you’ll have better odds of Legendary rewards. To avoid making this article too long, I’ve created a separate article detailing the armor, weapons, and bounties for this Iron Banner. There’s 4 weapon types available now. These weapon types are divided between match rewards and Lord Saladin. 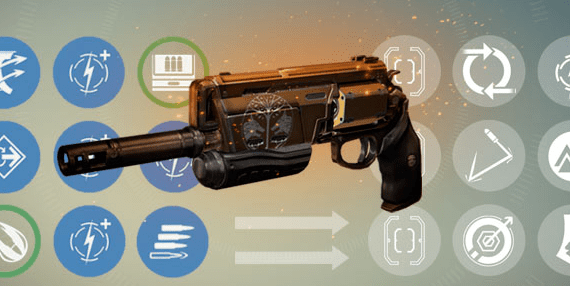 Reforge IB weapons; reset progression with new perks. There’s a new helm, chest, gauntlet, and boot for each class. New boots and gauntlets allow you to reach Light Level 31, but you’ll still need at least 1 Exotic & Raid armor piece as well. Only 2 ‘raid-equivalent’ Iron Banner pieces can be sold at once. IB Bounties are now claimed and turned in at Lord Saladin. There are 2 new Salvage-specific bounties (which may or may not be for this upcoming Iron Banner). IB Bounties reward more rep/XP.